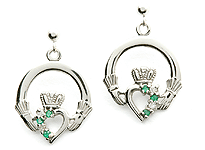 Few pieces of jewelry can rival Claddagh rings when it comes to tradition and significance and when you wear one you are displaying a wonderful piece of Irish history. 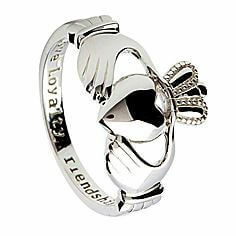 - Two Hands: These are clasped around a heart, the heart hands are a representation of friendship. - Heart: A representation of love. - A Crown: A representation of loyalty/fidelity. The two hands represent friendship, a heart symbolizes love and the crown on top is for loyalty. This was the name of a sailor from the fishing village of Claddagh in Galway who set sail for the plantations of the West Indies in the 17th Century. Unfortunately, the entire crew was kidnapped by pirates and brought to Algeria where they were sold into slavery. Richard was purchased by a goldsmith who trained him in the craft and in 1689, an amnesty was declared as William II, King of England, demanded the release of all slaves who were part of his kingdom. For Richard’s part, he had sufficiently charmed and impressed his master to the point where he was offered half the goldsmith’s wealth and his daughter’s hand in marriage. Alas, Richard’s true love was waiting for him back in Galway and he asked to be sent home so he could be with her. Richard returned to Galway and was delighted to find his beloved waiting for him; it is not known whether he was released or escaped. Unbeknownst to the goldsmith, Richard had stolen specks of gold from the workshop each day which he fashioned into a ring. 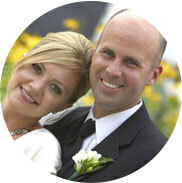 This was given to his sweetheart whom he married. 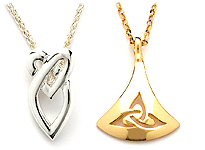 He set up a goldsmith shop and is said to have created more Claddagh rings with the initials ‘RI’ on them. 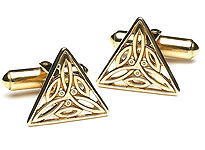 The other main tale associated with the Claddagh relates to a young woman who was part of the Joyce family, one of the Tribes of Galway. She married a wealthy Spaniard called Domingo de Rona in the 16th century; when he died she was left half his fortune. This money was used to build a host of bridges in the Connacht province and it’s said that an eagle dropped a Claddagh into her lap as a reward for her good deeds. Margaret is said to have later married the Mayor of Galway, Oliver Oge French. 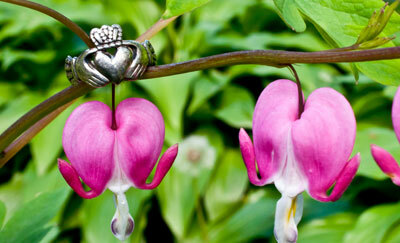 Where Did The Claddagh Ring Get Its Name? The Claddagh is a tiny old fishing village located outside of Galway City in an area where the famous Corrib River opens out into the Atlantic. Although there are different stories as to the origin of the ring, it was almost certainly created in or near the village of Claddagh which comes from the Irish An Cladach (stony shore). Centuries ago, the area was extremely independent and had its own king while it also thrived thanks to trade with Spain. The fishing fleet is made up of ‘hookers’, the traditional name for the old sailing boats used by the local fishermen. Each year, the Blessing of the Bay Festival takes place where a Dominican priest blesses each boat at the beginning of the herring season. It is believed to have begun in 1488 and the ceremony in the modern era involves a number of boats and yachts joining the hookers on the bay during the middle of August. Claddagh Village, Galway. As it is today, where the famous Corrib River meets the Atlantic ocean. The priest performs the blessing on one of the boats and rings a bell; this is a signal for local altar boys to sing and the fleet of boats performs a tour of the bay. Sadly, very little remains of the cottages that once stood in The Claddagh. As romantic as the idea of white-washed cottages may seem, in reality they were unsanitary accommodation and were demolished in the 1930s. 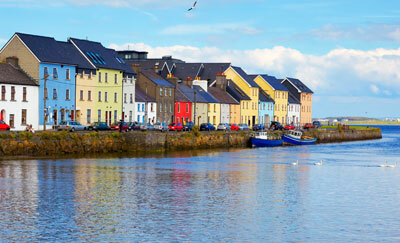 However, the area is still a popular tourist haunt as it offers fantastic views of Galway Bay. 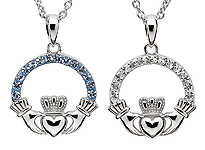 In Irish tradition, the Claddagh is passed down from mother to the eldest daughter and is kept in the family for generations. During the middle of the 19th century, millions of Irish people emigrated because of the Great Famine and travelled thousands of miles on coffin ships; the majority of these emigrants found their way to North America. These rings were one of the few valuable possessions they had when making the long journey overseas and were kept as heirlooms. 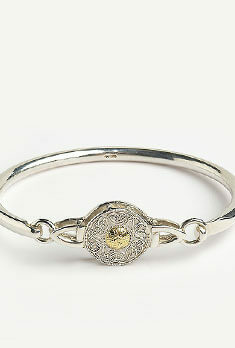 In many cases, a ring was basically a family’s only savings and became a daughter’s inheritance. 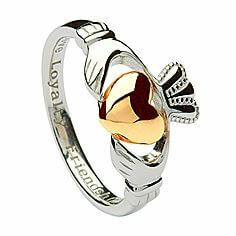 As a result, there are countless Claddagh rings in the homes of American and Canadian families today. 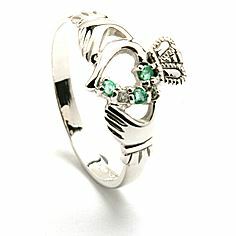 Many celebraties have been known to wear the Claddagh. The actor Gabriel Byrne always wears his. 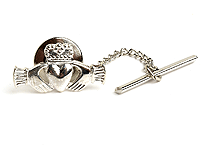 Claddagh rings also have royal connections as they have been worn by Queen Victoria, Queen Alexandria and King Edward VII along with the legendary Princess Grace of Monaco. 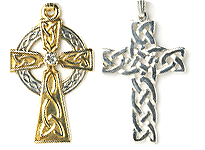 As you might expect in a country so closely linked to Christianity, the Claddagh also carries religious meaning for some insofar as it is linked with God, Jesus and the Holy Ghost, also known as the Holy Trinity. 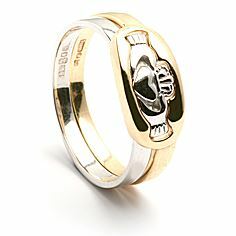 The left hand of the ring represents Jesus; the right hand represents the Holy Ghost while the crown represents God. 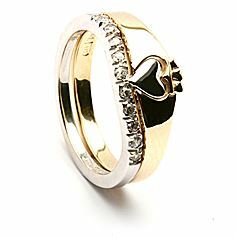 The Claddagh ring is believed to be based on the Faith Rings of Fede, a group of finger rings originally worn during the age of the Roman Empire. Fede rings were still very popular accessories in Medieval Europe and consist of a pair of clasped hands which symbolised trust, faith or brotherhood. 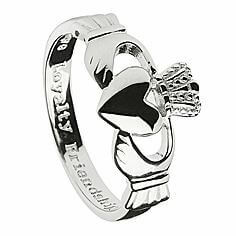 The many meanings of Claddagh rings allow them to be worn to celebrate many occasions including weddings and, of course, engagements. Alternatively, you can add your own unique twist. 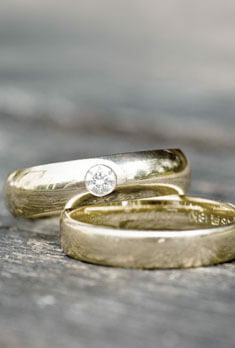 While these rings celebrate Irish traditions, their beautiful and timeless design means they look fabulous in the modern age.